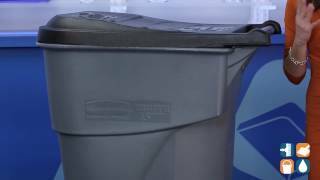 Set the wheels in motion for quicker, more efficient waste collection with this durable container. Sturdy, one-piece body construction with large 12" wheels and molded-in foot tilt for easy maneuvering. Hinged lid flips fully open. Integrated handle provides sure, generous grip and molded-in reinforced lift points help evenly distribute loads. 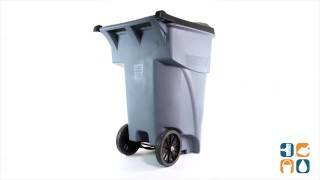 Compatible with automated and semi-automated lift systems for curbside trash collection. Polyliner bags. 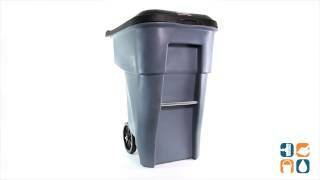 Waste Receptacle Type: Trash Container; Material(s): Polyethylene; Application: General Waste.